Manama: Tunisian president Beji Qaid Al Sebsi—the world’s oldest president in service—turned 92 yesterday. Tunisians used the occasion to poke fun at the situation on social media. “Happy birthday, Bajbouj!” Oussema Soula posted, using the president’s nickname favoured by Tunisians. In another post, he said that Al Sebsi, born on November 29, 1926, “pre-dated” the 21 tournaments of the Football World Cup. The first final was held in Uruguay in 1930 and the last in Russia in 2018. Fares mused that with 92 candles on the birthday cake, Al Sebsi would need the fire department to help put them out. Social media and mainly Facebook have a deep penetration in the Tunisian society amid reports that more than six million people, half of the total population, are actively using them. The comments showed that despite the increasingly challenging economic situations and the merciless wars of narratives between the various political ideologies and social tendencies, Tunisians remain open to the joyous way of life that has characterised the Mediterranean country. “Most Tunisians find in social media the opportunity to express themselves more openly and freely and to share the small details of their world with others even though it is a virtual world,” Rym Bdiri, a teacher, said. The more than four minute video-taped phone talk was posted on the presidency’s official site and was viewed by close to 127,000 people. Al Sebsi has been Tunisia’s leader since December 2014 when he became the first freely and directly elected president. He served as Minister of Foreign Affairs from 1981 to 1986 and as Prime Minister from February 2011 to December 2011. 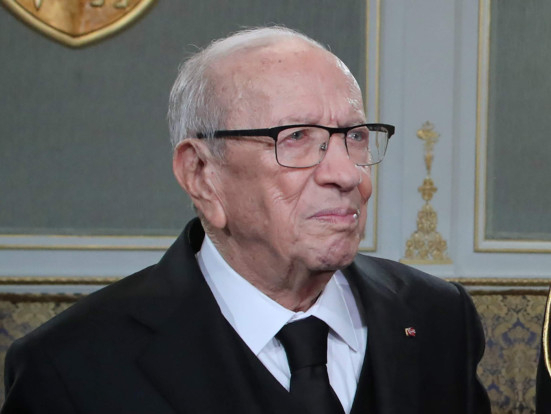 Al Sebsi founded the Nidaa Tounes political party that won the parliamentary elections in 2014. Older world figures holding top offices, but not as presidents, are Malaysia’s Mahathir Mohamad, born in July 1925, twice Prime Minister (1981–2003 and 2018–present) and Queen Elisabeth II, born in April 1926, and queen since 1952.